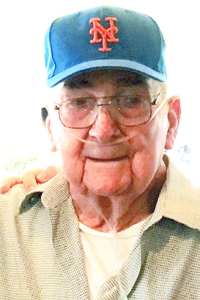 ALBANY – Francis “Frank” H. Keller, 84, of Albany, NY, passed away on April 6, 2019 in the Hospice Inn at St. Peter’s Hospital after a long battle with chronic illness. Born in Queens, NY, he was the son of Francis A. and Florence (Smith) Keller. Frank and his wife Peggy lived on Long Island until 1998 when they relocated to Albany to be closer to family. Frank graduated from High School at the age of 17 and served in the US army as a mechanic for three years. He then married his wife, Peggy and worked as an airplane mechanic and inspector for Seaboard world airlines at JFK. He continued to work after Flying Tigers took over and then retired at the age of 55 when Federal Express took over. Frank had limited mobility of his left arm his entire life. It never stopped him from working hard to support his family. Frank loved his cars and always had at least one of his children assist him while changing the oil or repairing the brakes. Although Frank worked for an airline, he preferred to take his family camping up and down the east coast. He would think nothing of getting off work and then drive from New York to Florida in twenty-four hours just so his kids could go to Disney World when it first opened. One of Frank’s favorite pastimes was to watch a “good” game. It really did not matter if it was baseball, football or hockey. If the game was “good” he watched it. The Mets were his all-time favorite team. Frank is survived by his wife Peggy (Margaret) of 63 years; his children Deborah A. Keller (George Chernetz) of Kinnelon, N.J., Lynda A. Rizzuto (Domenick) of Albany, N.Y., and Brian J. Keller (Kim) of Milton, Georgia. He is also survived by his sister Joan Aguilera of Hartford, Conn.; six grandchildren and two great granddaughters. He was predeceased by his brother Richard Keller. Family and friends are invited to call at the Hans Funeral Home, 1088 Western Ave. Albany, NY, Thursday morning from 10:00 a.m. until 12:00 noon. Interment will follow at the Gerald B.H. Solomon Saratoga National Cemetery, 200 Duell Rd., Schuylerville, NY 12871, at 1:30 p.m. In lieu of flowers, the family requests contributions be made in Frank’s name to a charity of one’s choice. 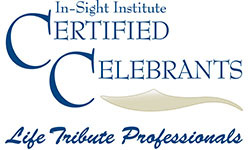 To express your sympathy or share a memory, please visit www.HansFuneralHome.com . Dear brother-in-law and friend! Doris and I will miss you. We remember the happy times:, from going hunting , then eating venison at your parents’ place, to surf fishing on Long Beach Island when you and Peggy came to visit one summer. We will keep these memories always. Condolences, love,and prayers to your family. Rest In Peace Frank. Thank you for your service to our country. John and I always liked to talk with Frank. He had some interesting stories of the old days in NYC. He and John talked about cars, which they both enjoyed. You and Peggy raised a wonderful family….. God bless you, Frank! Our thoughts and prayers to all the family. We know he will be greatly missed. Unfortunately we know how this affects all the family at this sad time. Frank is resting peacefully and is not suffering with his illness. The family is in pain, but must go on with their lives as he would like all of you to do. Dear Peggy, Linda, Dom, and the whole family.